Open Sesame! 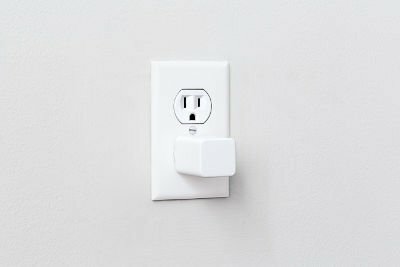 Bluetooth Smart Lock or Dryer Automation Kit? Sesame seems to still be on pace for their first production batch of locks at the end of April 2015, so I think now is an appropriate time to go over what it offers. 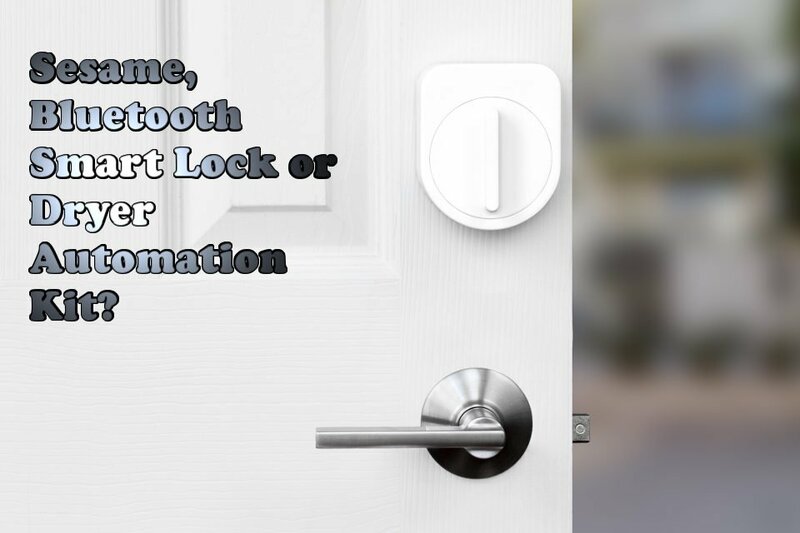 Sesame works with your existing dead bolt to unlock or lock your door via Bluetooth when you come home or leave. And, if you like, you can add an optional WiFi module to connect it to the internet. The retail price will be $150, but you can preorder now on Kickstarter for $100. Technically, this doesn’t make your lock any more secure than a traditional deadbolt. So, why would we feature it? Because notifications can alert you if the lock was opened when you didn’t expect it. That way, someone copying your key, bumping, or picking your lock would all cause a notification on your phone so that you can be alerted. And, if you choose to connect it to the internet, you can let in the repair man or baby sitter. Since the mechanism is so universal, you may even be able to rig up the Sesame to turn on your washing machine, dryer, or dishwasher too, assuming those have similar knobs. Those would be interesting applications for sure, but a bit of a stretch at this price point. Sesame is designed to fit over your existing dead bolt on the inside of your door. In that respect, it’s going to be much easier to install than a whole lock assembly. Then, when your phone is within range and connects to the lock, you can have it unlock the deadbolt for you without keys. However, you’ll have to keep the knob unlocked (assuming you have one) or else keep carrying your keys around to unlock the bottom lock. The base package with the lock retails for $150 and the WiFi add-on adds another $50. You can preorder one now for $100 or $150 on Kickstarter, though. I’m not a big fan of ADDING vulnerabilities to your home’s security (Bluetooth and WiFi connectivity). But, I do see the value in being notified when your lock is opened. A lot of users have tried an open source home automation software to be easily notified via their smartphones. However, anybody with a security system is going to get the same thing with an entry sensor on the door. I also wouldn’t be crazy about leaving my door knob unlocked so that the Sesame could grant access to the house with the one remaining lock. Granted, it won’t bear as much force as a dead bolt if someone tries to break in, but the extra latch and strike plate will likely help slow the process down. That being said, if you regularly let people into your home remotely or feel like you can’t trust your teenager with keys, then maybe a smart lock is in your future. If that’s the case, then Sesame is a good option since it installs easily, and it’s easy to take with you once you move. Like the looks of it? Give them some love and spread the word!